Tug of War Doesn't Mean WAR. If you want to play tug with your dog but have been holding back because you’ve heard that tug-of-war makes dogs aggressive, I have some great news for you! Playing tug-of-war (by the rules) will strengthen your dog’s much needed self-control, and teach him/her to respond to you even when they are very excited. The consequence for breaking a rule is that the game ends, so dogs who love to tug learn the rules pretty fast! 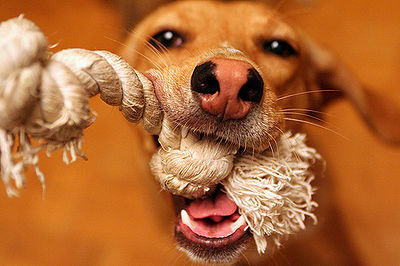 Tug-of-war and other rough-and-tumble games are not only fun, but they also make your dog more obedient and confident! Tug O' War IS a Fun Game to Play! 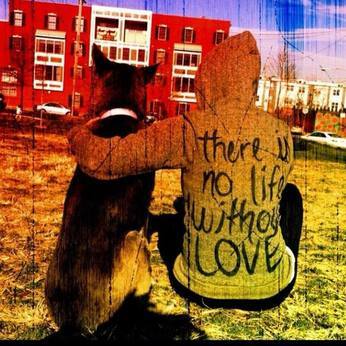 "In order to have happy, frustration-free partnerships with our dogs, we need more than just love and training. For a relationship that truly thrives, we must cement a bond with our dog built on trust, mutual respect and regard."